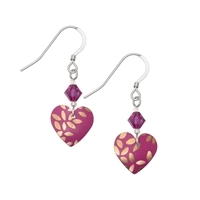 Small round heart-shaped earrings handmade in our Fuchsia Pink Kyoto Garden print. 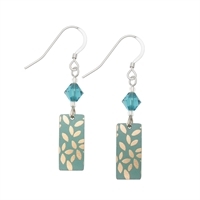 Rectangle shaped earrings with Swarovski crystal detail. 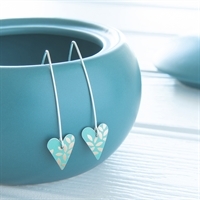 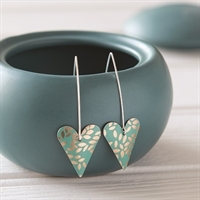 Small round heart-shaped earrings on medium earwires, handmade from printed tin..
Small slim heart-shaped earrings on medium earwires, handmade from printed tin..